I thought about cancelling Popsugar before September...not because I don't like it (I have actually loved it every month!) but because I really need to start saving money for a new computer, winter clothes...everything...but then they put out a spoiler. And the spoiler reeled me in. SO, here I am! Popsugar is one of my favorite boxes, because they send out such a mix of things - beauty, fashion, home, tech, fitness, food...I really love the variety. This month, they shipped much smaller boxes. For me, this is a good thing - I like having different sized boxes for storage. They're still cute and pink, though! Tilo Scarves Modal Gradation Scarf in Raisin - I decided to wear this for the picture so you could see how cool it is. This is the spoiler item that kept me subscribed! It is a super soft, silky ombre scarf that goes from gray to a plummy raisin color. It is so soft and silky! It retails for $125...and I would never spend that much on a scarf. But for the price of the box, I am beyond happy! 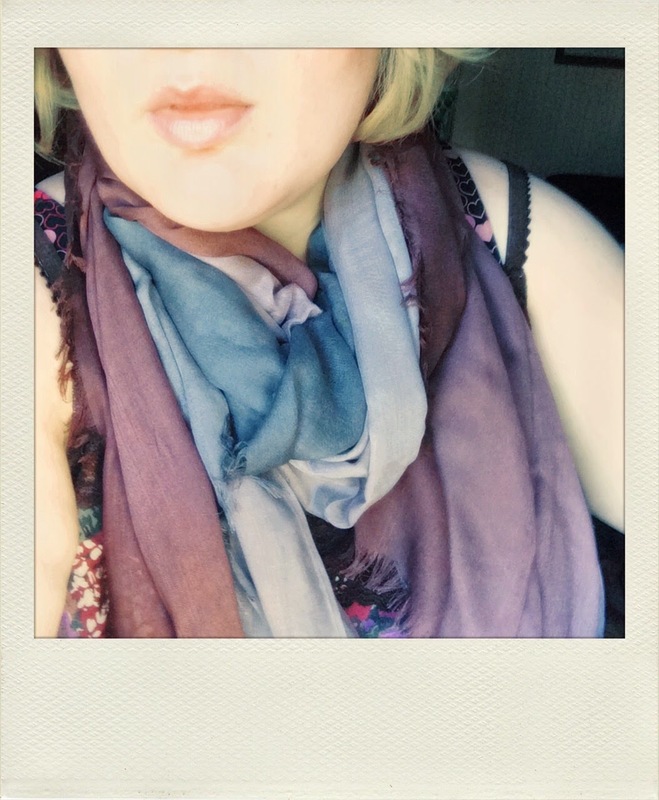 I love scarves, and most of mine are bright colors or busy prints. This is such a pretty autumnal neutral for me! 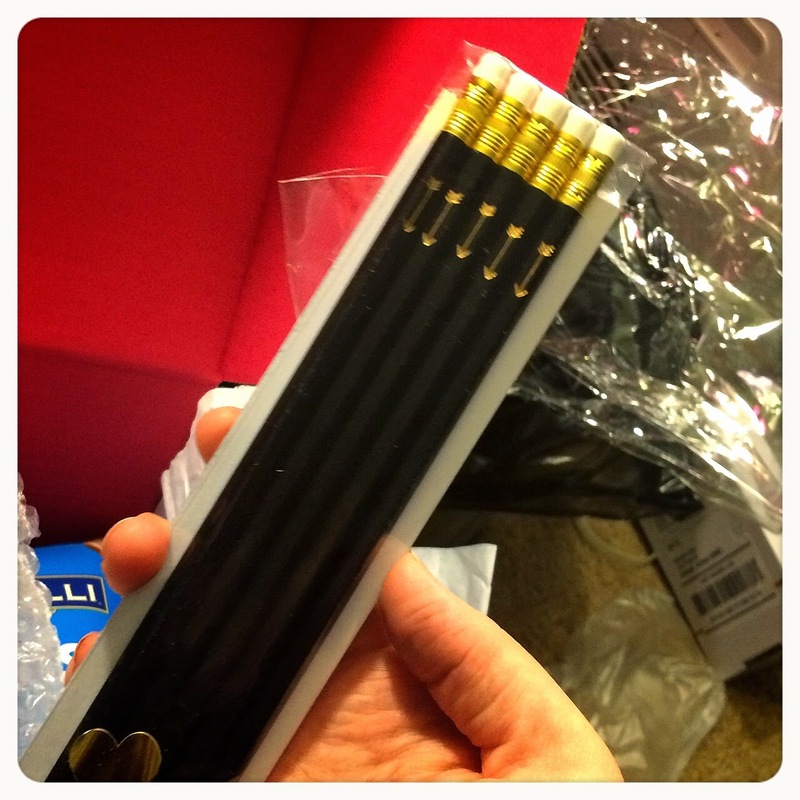 Letter C Design Gold Foil Arrow Pencils - This is kind of a weird inclusion for me, just because I don't even think anyone really uses pencils anymore, let alone ones that you sharpen. However, they are cute and I will use them, and stash them around the house for when I need them. They come with a sharpener which is handy, because I don't have one! These are the least exciting item for me this month, but they're definitely not a BAD item. 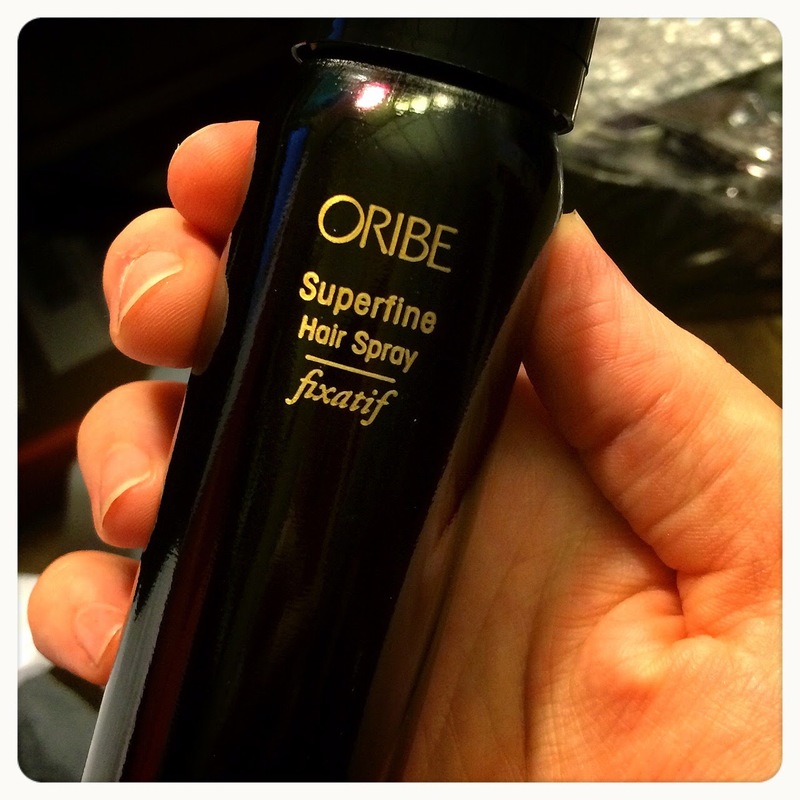 Oribe Superfine Purse Size Hair Spray - This is a great hairspray with a fine spray and great hold. It also smells nice! I used to hate getting hairspray in subs, and I gave it away every time. Then I chopped my hair off and started needing/wanting some hold for my style, and I regretted getting rid of all of my hairsprays. So this one is very welcome! 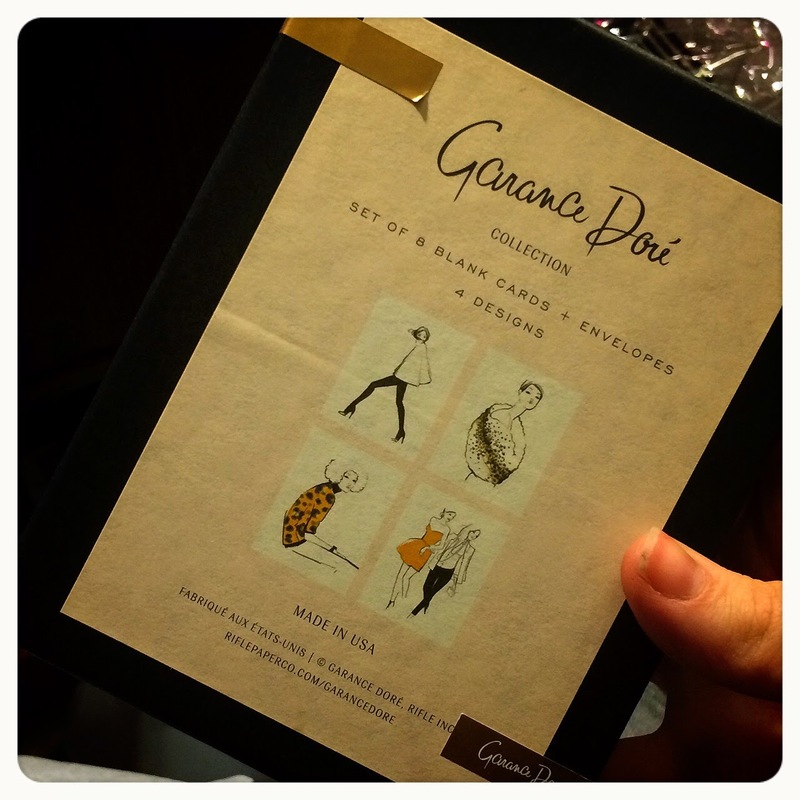 Rifle Paper Co Garance Dore Assorted Girls Set - This is a cute set of cards with four designs on them. I love Rifle Paper Co. and their products, and I love sending snail mail. I'll be writing notes to my penpals I've been neglecting for months on these! 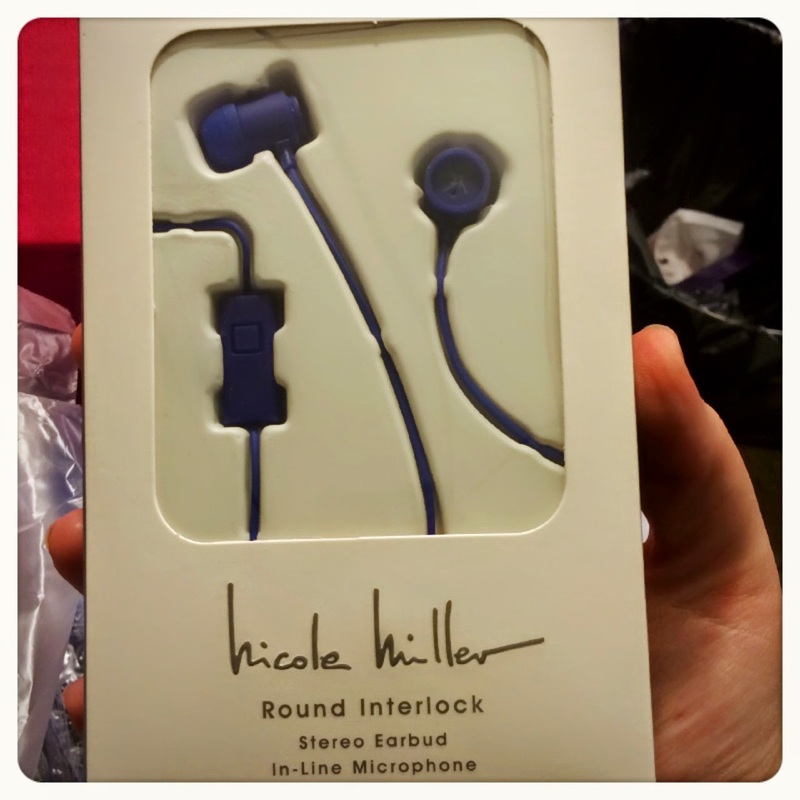 Nicole Miller Stereo Earbuds - These are cute cobalt blue earbuds. I have mixed feelings about these. On one hand, I had been wishing for some earbuds or headphones from a sub for a while. And these are CUTE...I love this shade of blue and the shape is different. However, they are uncomfortable in my ears, and more importantly, the sound is not great. These only retail for $20, so I wasn't expecting anything amazing (I am a bit picky about headphones and sound quality and usually spend between $80 and $100 on them), but for that same $20, I could get something much nicer...even some basic Skullcandy buds sound better. So, good effort, Popsugar, but these just don't do it for me. 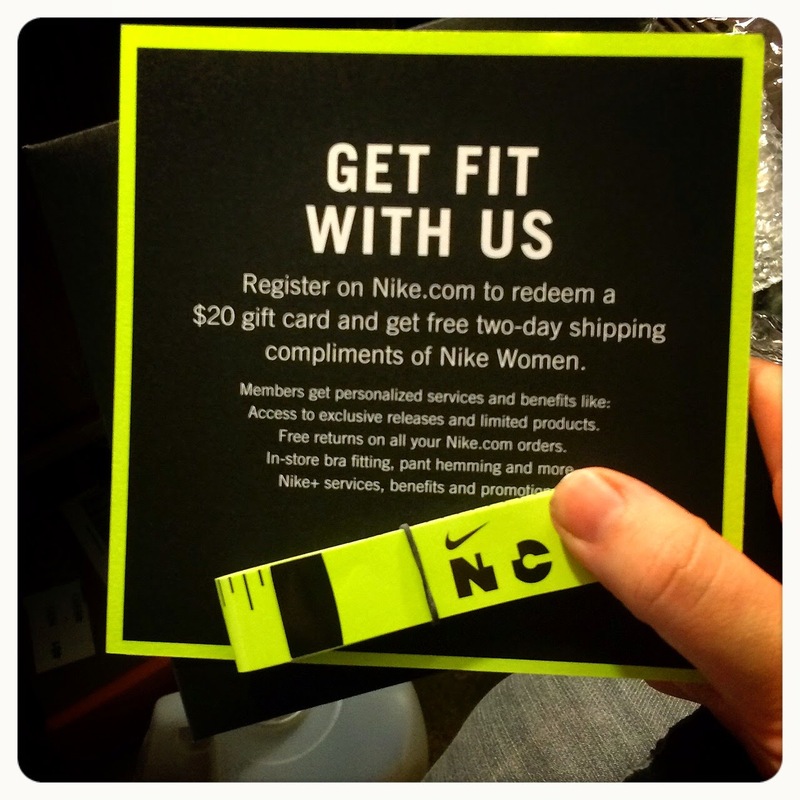 Nike $20 Gift Card - This is $20 to use on Nike's site and a tape measure (to measure yourself for their new bras!) I won't be getting a bra, but I will need new shoes soon, so I'll be using this, for sure. I love that it can be used on anything in the site, I hate when brands call things gift cards that aren't, but this one has no limitations! Urban Remedy Almond Brownie - This is a raw, organic almond brownie. I honestly usually hate any kind of "raw" food involving chocolate because the texture grosses me out. But I really found myself liking this one! It is nice and chewy and not too dry. The downside is that the calorie content was crazy! I won't be buying any of these, but it was fun to try. 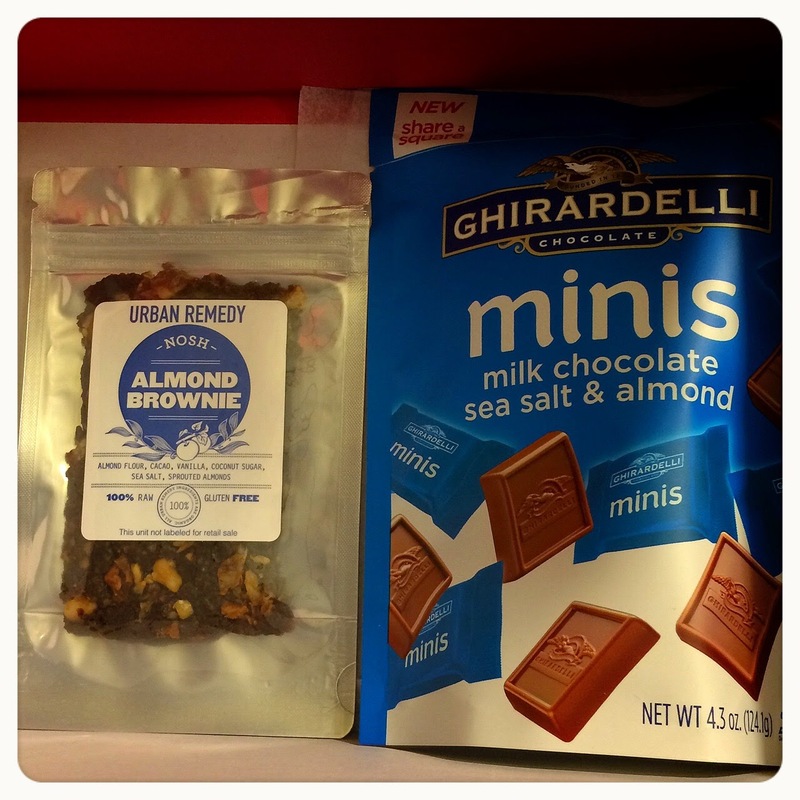 Ghirardelli Milk Chocolate Sea Salt & Almonds - I love me some Ghirardelli, and these are delicious. They have the perfect balance of sweet and salty for me. 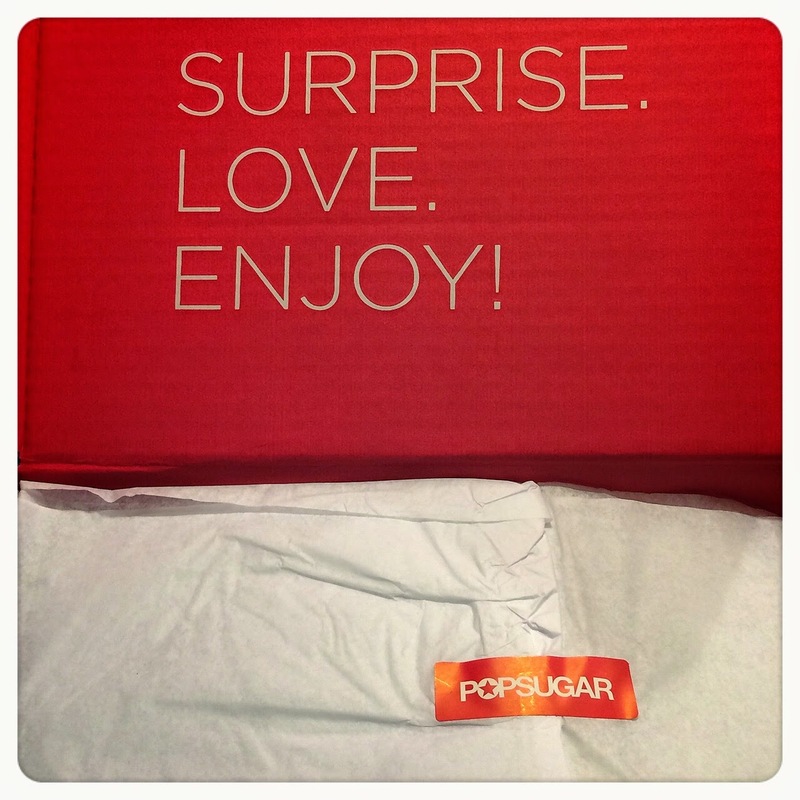 Popsugar can send me some of these every month, please and thanks! Overall, I am really happy with this month! 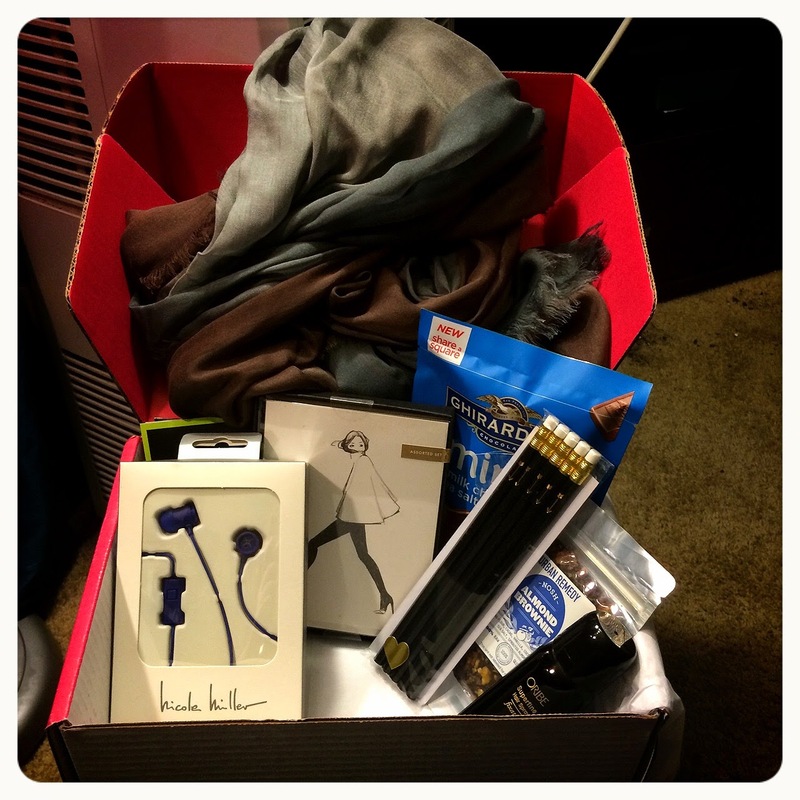 The scarf makes the box for me, and everything else is a nice bonus. It definitely feels like an early fall box. I might have a hard time cancelling again for October! 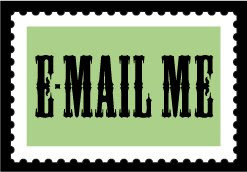 If you are interested in trying Popsugar, please feel free to sign up using my referral link here!